With help from our new and used dealership in Baton Rouge, Louisiana, drivers in the area can find and finance the 2018 Chevy Silverado 2500 HD truck they've been wanting with ease. Take advantage of our user-friendly Chevrolet website to explore the options we have in stock and contact us when you're ready for a more personalized experience, including a thrilling test drive. Our professional All Star Chevrolet North team can introduce you to the 2018 Silverado 2500 HD family and go over the comprehensive Chevrolet warranty that comes included with your purchase! And more! Visit our new and used Chevy dealership near Baker, Louisiana to hear more about all the ways this pickup truck can cater to your safety concerns. 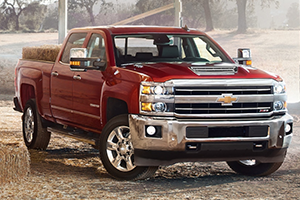 Whether you opt for the 6.0-liter Vortex V8 engine that is paired to a 6-speed automatic, heavy-duty transmission or the 6.6-liter Duramax turbo-diesel V8 engine that works with a 6-speed Allison® automatic transmission, you can rest assured your on-road performance needs are well provided for. Our friendly All Star Chevrolet North team is up-to-date on the impressive 18,100-pound tow capacity that this properly equipped truck has to offer, as well as the benefits of its Tow/Haul Mode, Digital Steering Assist and Hill Start Assist, so don't hesitate to contact us now! 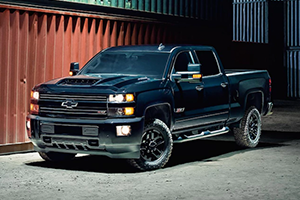 Our All Star Chevrolet North team will happily introduce you to all the technological advancements your 2018 Silverado 2500 HD trim comes standard with, as well as those you can add on to further customize your pickup. The EchoMaster™ Trailering Camera System is there to help guide you while the truck's Apple CarPlay™ and Android Auto™ capabilities work to not only keep you connected but entertained. For drivers interested in staying in touch with their 2018 Chevy Silverado 2500 HD no matter where they are, contact our dealership near Baker, LA to learn about the myChevrolet Mobile App that is available! Before making your way over from Central, Lousiana to our new and used Chevy dealership in Baton Rouge for your 2018 Silverado 2500 HD, send our team a credit application! We'll introduce you to an array of financing options that ensure you can leave with one of these powerful pickups tonight!